Since I founded the Global Federation of Chinese Business Women (GFCBW) in 1994, throughout the past 25 years, the GFCBW has founded on envisioning the world, being well-informed, establishing networks, and developing economic trade. Furthermore, the GFCBW has also concentrated on advancing the presence of Chinese business women globally, advocating and supporting the Chinese culture and arts and promoting international exchange. To date, there are 65 chapters spanning across six continents. Through these chapters, and under the guidance of all the former and current Global Presidents the GFCBW has followed our organization’s mission, expanding our organization’s business, and combining with the global overseas Chinese women entrepreneurs all over the world to set up more chapters. The 10th and newly inducted Global President Alice Liu is the Chairwoman of Avalue Technology Incorporation – a company whose primary product include the industrial- use Single Board Computer (SBS) manufacturing- use Embedded Board Computer (EBC), and the development of embedded software. Alice Liu is also a winner in the 3rd Hua-Guan Award. She is an extremely well-rounded, successful business woman. 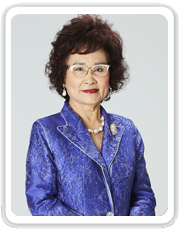 While she was the Hua-Guan Award Winners Club Chair and the GFCBW Global Vice- President, not only did she host the Hua-Guan Forum, but she also organized many intellectual forums. Alice Liu has also facilitated in the exchange of foreign affairs as well as the overseas Chinese community affairs, thus improving the visibility of Republic of China (Taiwan) worldwide. I believe that under her leadership, the GFCBW will unify in power and strength and elevate Chinese businesswomen’s visions. I am confident that through Alice Liu’s proactive influence and hard work, the GFCBW will be even better, stronger, and even more globally recognized. The GFCBW is an international platform for women all over the world to expand their network and vision. Nowadays, the role that women play in societies is becoming increasingly important; no matter what challenges we encounter, our perseverance and strength means that we will never give up easily. This has allowed us to accomplish more, achieve our goal, and is the key to an extraordinary life. “To resign my term but not my responsibility”, even though I am no longer the Global President of the GFCBW, it is my dream and my goal to forever support GFCBW and expand her chapters. I hope that the Presidents of all chapters around the world will carry the torch and continue to help the GFCBW grow, develop and flourish.